Szibill, first produced at the Király Színház, Budapest, on 27 February 1914, was the peak achievement of the short career of composer Viktor Jacobi. The young musician, who had known little but success from the very beginning of his composing career, had made an international hit with Leányvásár (The Marriage Market) in 1911, and Szibill followed up some three years later, his last work for Budapest before leaving for America, disillusion and a premature death. 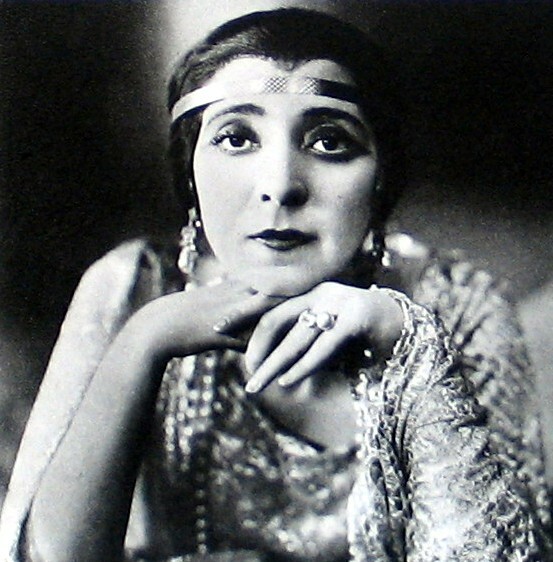 Famed Hungarian diva Sári Fedák (1879-1955). Lieutenant Petrov (Jenö Nádor) has deserted his regiment for love of the diva Sybil Renaud (Sári Fedák) and is in hiding in her hotel at provincial Bomsk. The local Governor, charged with capturing the runaway, mistakes Sybil for the Grand-Duchess Anna Pavlovna and, to give her lover the chance to escape, she takes up the pretence. Before the pair can get away, however, Sybil is forced to attend a reception in the Duchess’s honour and there she finds herself faced with — the Duke (Ernö Király). He, delighted with the possibilities offered by this new ‘wife’, amusedly goes along with her deception, but both are taken aback when the real Grand-Duchess (Mici Haraszti) arrives and announces herself as Mme Renaud. Jealousies flare back and forth until Sybil is able to explain all to the angry Duchess, reunite her with her husband, and win a pardon for Petrov. Jacobi’s score mixed the romantic and the comic in impeccable measures. The romantic music rose to its height with the long-lined, pregnantly pausing duet between the Duke and Sybil as he, only half teasingly, asks her to imagine a sentimental idyll for two (‘Illuzio a szerelem’), whilst Sybil’s opening letter-song, as she writes to her Petrov, little knowing he is on his way to her, proved another highlight. The comic side of affairs was provided by Sybil’s manager Poire (Márton Rátkai) and his wife Sarah (Juci Lábass), and Jacobi served them with some outstandingly lively duos in well-accented dance rhythms, topped by the energetic mazurka `Gombhaz, sej, hogyha leszakad’ and the light-footed ‘Van valami’, and Poire’s merrily bouncing duo with Sybil provided another memorably rhythmic moment (‘Félre csapom a kalapom’). Jacobi Viktor’s “Szibill” at the Király Színház, 1914. Rátkai Márton (Poire impresszárió), Lábass Juci (Sarah). The First World War prevented Szibill from following its Budapest triumph with what would normally, in the wake of the success of Leányvásár, have been a quick appearance on international stages. 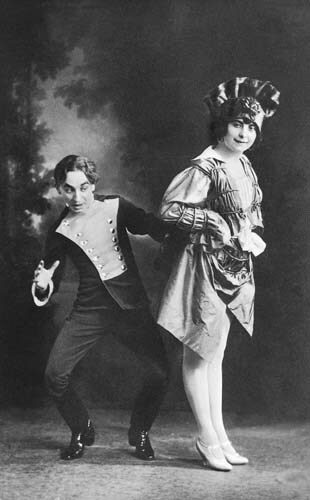 However, war or none, America soon picked up the show that was the rage of in-fashion Budapest, and Sybil was produced on Broadway with Julia Sanderson and Donald Brian as the diva and the duke and Joseph Cawthorn (Poire) paired with British revue comedienne Maisie Gay (Margot) at the head of the comedy. Jacobi, who had seen The Marriage Market plugged full of mostly substandard interpolated songs, was on hand to provide new numbers as and when required, to fit with Harry Graham and Harry B Smith’s version of the book. 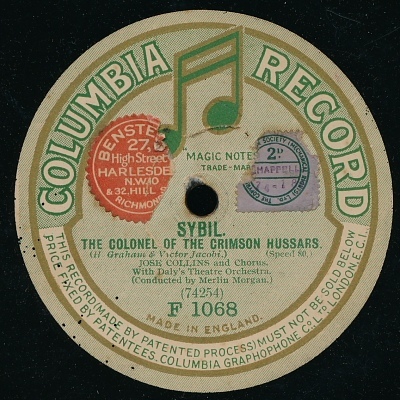 The most successful of these additions was a solo for Sybil herself, ‘The Colonel of the Crimson Hussars’. A blatantly simple and march-rhythmically sticking number, made to measure, it was not, however, of the same quality as the piece it replaced (‘Volt egy hercegnö’). 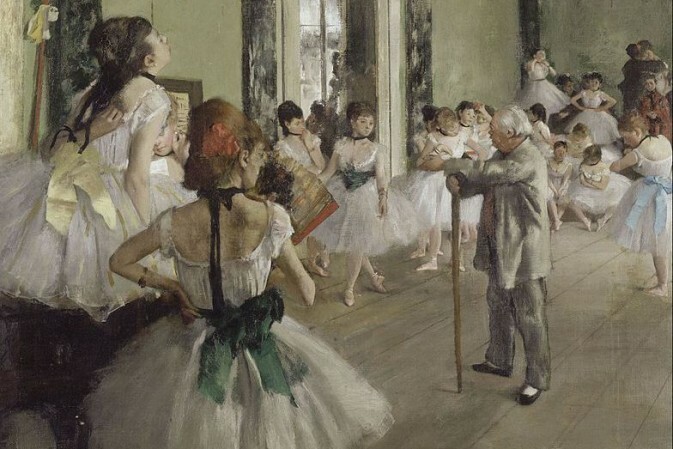 Several of Jacobi’s best lighter, rhythmic numbers also went under the knife, and Cawthorn performed a number (‘I Can Dance with Everybody But My Wife’) which he had himself written with John Golden. 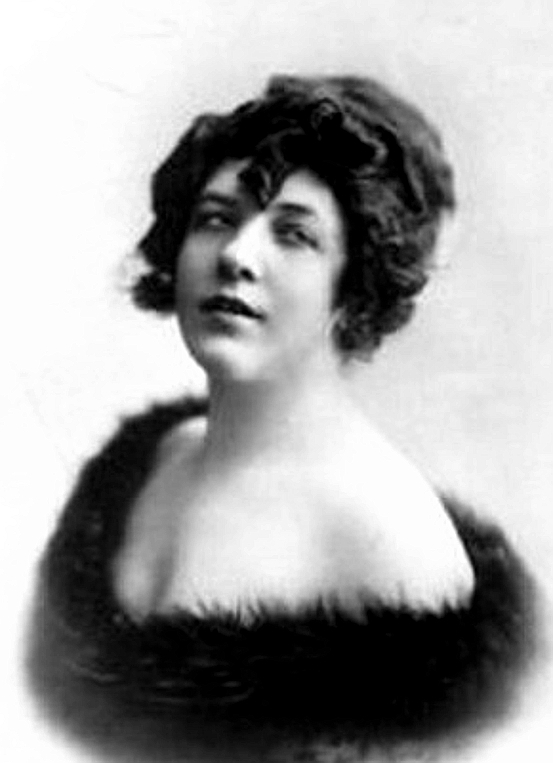 But Sybil proved indestructible enough to be received with raves (‘an instantaneous success’, ‘it exhausts commedatory adjectives’, ‘the best musical production in five years’ &c) and proved a considerable success in Charles Frohman’s production at Broadway’s Liberty Theater (168 performances), on the road, and in a quick revival at the Empire (28 August 1916). 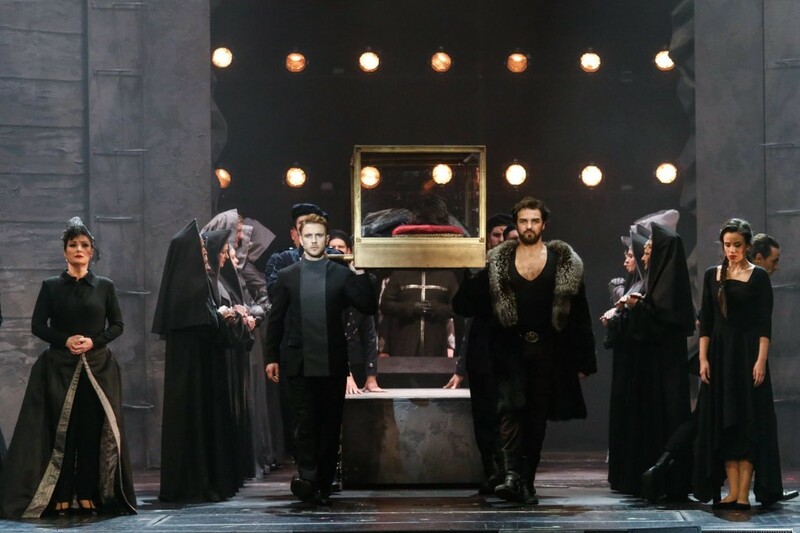 After Fedák and Sanderson, another of the most outstanding stars of the contemporary musical theatre took up the rôle of Sybil when the first German-language performances (ad Robert Bodanzky) appeared after the war. 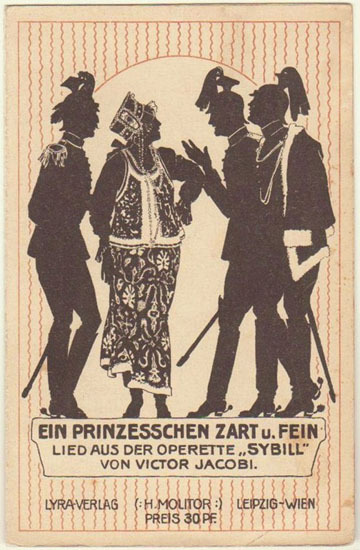 Fritzi Massary and Guido Thielscher introduced the piece in Berlin and the diva then took it to Vienna, where it was performed for a successful season at the Wiener Stadttheater with Massary (and later Ida Russka) playing alongside Hubert Marischka as the Duke, Viktor Flemming as Petrov and Emil Guttmann as Poire. The show was later given a further 26 performances at the Theater an der Wien. The one and only Fritzi Massary. If Britain was slow in producing Sybil, it was not wholly because of anti-Germanic feeling in the wake of the war, but also because of a log-jam of success. 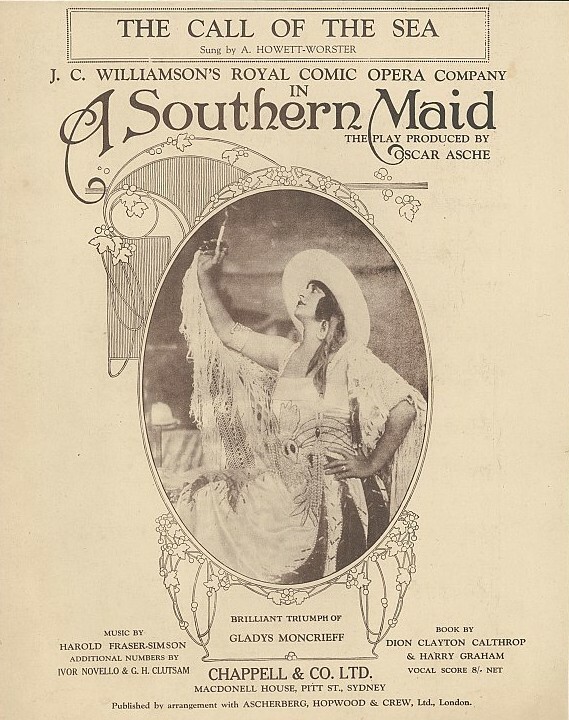 Robert Evett had bought the rights to the piece early on in order to star José Collins as Sybil, and Harry Graham had duly prepared his adaptation, but the continuing popularity of Miss Collins’s current vehicles, The Maid of the Mountains and A Southern Maid, retarded the show’s production in London, and thus Graham’s version was seen on Broadway long before Evett was able to find it stage room in England. When Sybil did finally arrive at Daly’s Theatre, in what now looked like a revised version of the American version, some seven years after the original Budapest production, it showed it had been worth the waiting for. It proved a magnificent vehicle for Miss Collins and ran from February to Christmas (347 performances) being removed only to allow a farewell season of The Maid prior to Evett and Miss Collins’s departure from Daly’s. 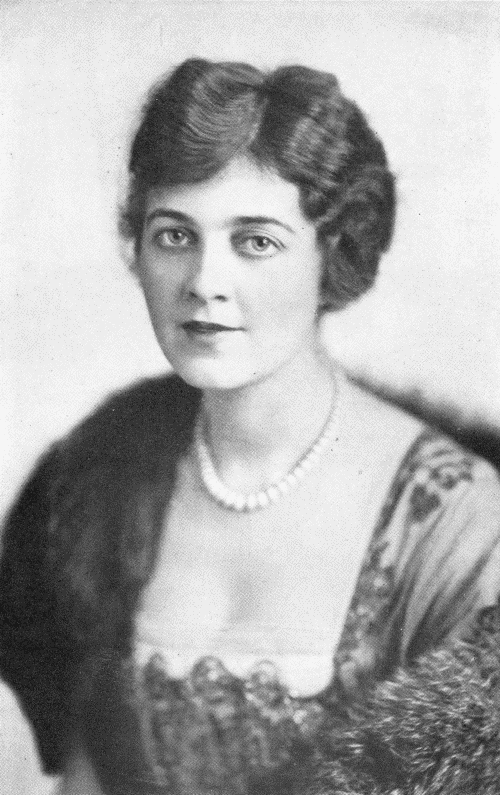 Miss Collins’s Australian ‘double’, Gladys Moncrieff, was Sybil in her native country, with Claude Flemming, Leslie Holland, Robert Chisholm, Arthur Stigant (performing Cawthorn’s song), Ethel Morrison and Clarice Hardwick supporting through an excellent original run of 11 weeks in Melbourne and a further ten in Sydney (Her Majesty’s Theatre 8 February). In Hungary, Szibill has remained in the standard repertoire and has been produced at Budapest’s Fövárosi Operettszinház in 1932 (23 April), 1945 (21 December), and in 1972 (21 January) as well as, most recently, at Györ (1992), Tatabánya (1993), Pécs (1994), Szolnok (1994), Kecskemét (1996) and Debrecen in 1997.